Want it by Thursday 25th April? Order within 1 day, 22 hours, 50 minutes and choose Royal Mail Tracked 24 Hour at checkout. This beautiful jacket is the perfect way to do casual days in style. 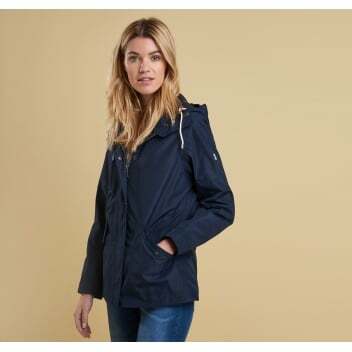 With a waterproofed, breathable outer, it's the perfect marriage of comfort and practicality. The Headland is full of details to make you smile, such as the leather trip, cotton lining with Barbour Beacon print, and the Beacon plate on the left sleeve. This is one jacket you won't want to be without.